Paul Herzog was a guy that “walked the walk” as a friend, environmentalist, and activist. 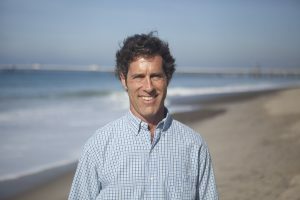 From his home chapter here in Ventura, Paul was instrumental in the development of Surfrider’s Ocean Friendly Gardens program as the national program coordinator. While Paul left us too early, his legacy lives on in gardens throughout California and across the country, gardens built to protect watersheds through Conservation, Permeability, and Retention. Join us as we create a planting area in the Ventura Botanical Gardens in honor of Paul Herzog. This project is a partnership between the VBG and the Surfrider Foundation Ventura’s Ocean Friendly Gardens program. The project includes a donation of two days of work by the California Conservation Corps. Most work and planting will take place between November and January. Help reach our goal of $4,000 by December 31st, 2017! In July, Surfrider Ventura hosted a memorial paddle out in Paul’s honor. Click here for photos. Check out this video of Paul in his element. Follow along as host and Surfrider Ambassador, David Chokachi, tours an ocean friendly garden in Los Angeles. David interviews Paul as they explore what elements of a garden make it “ocean friendly.” Learn how our waterways are connected and how what you do in your garden can affect water quality in our ocean and our waterways.